Well, since I have been so lame at posting anything lately, I wanted to get this goodie up! I was thinking the other day about how good these were and wanted to finally share this post. I went to a local Mexican restaurant that offered veganized versions of most of their menu (so happy to see a restaurant carrying vegan cheese and cream options to add that extra something to vegan Mexican food). I had their green enchilada and it was so good I knew I’d have to find a recipe to make them at home. 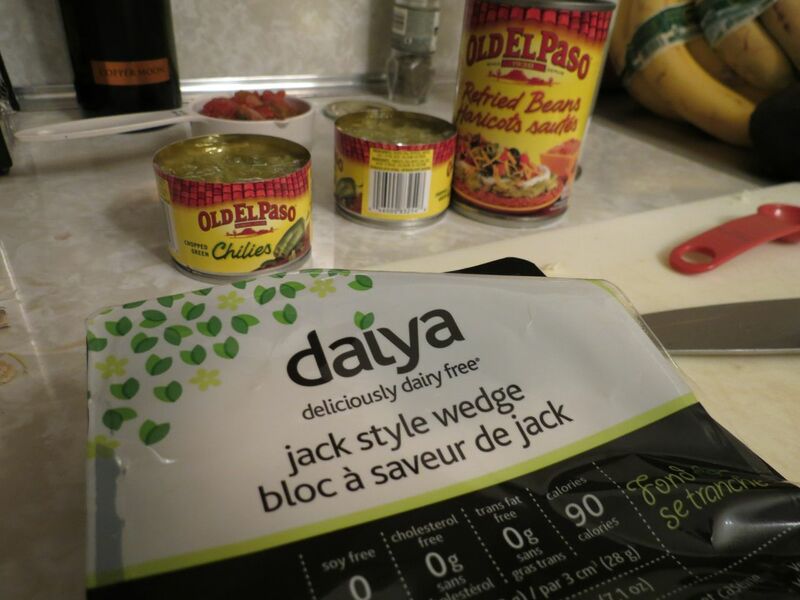 I came across a simple and very tasty recipe for Green Enchiladas on a blog called Vegan Dad. 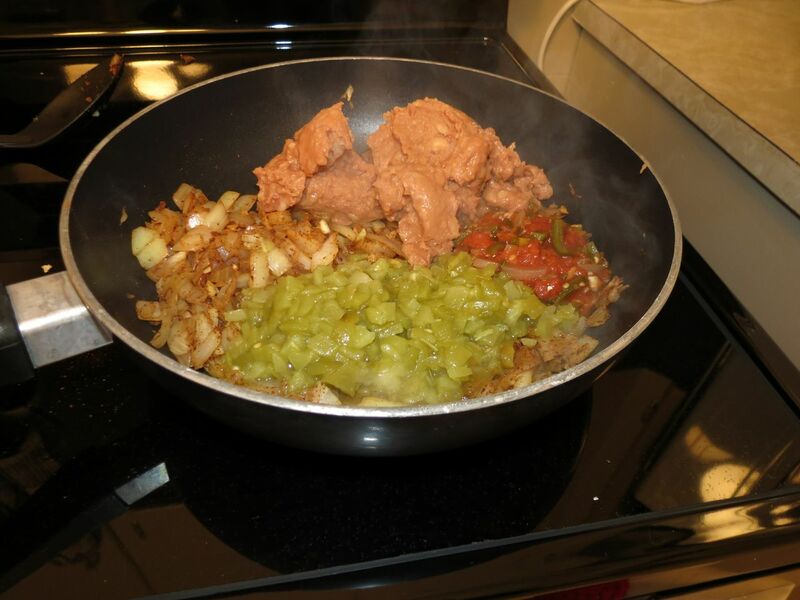 It is thrown together pretty quickly with pre-made ingredients like the salsas, canned chilies, and canned refried beans. If you decided to get all adventurous you could always do these from scratch, but sometimes life is too busy and you need a good ‘n quick meal! 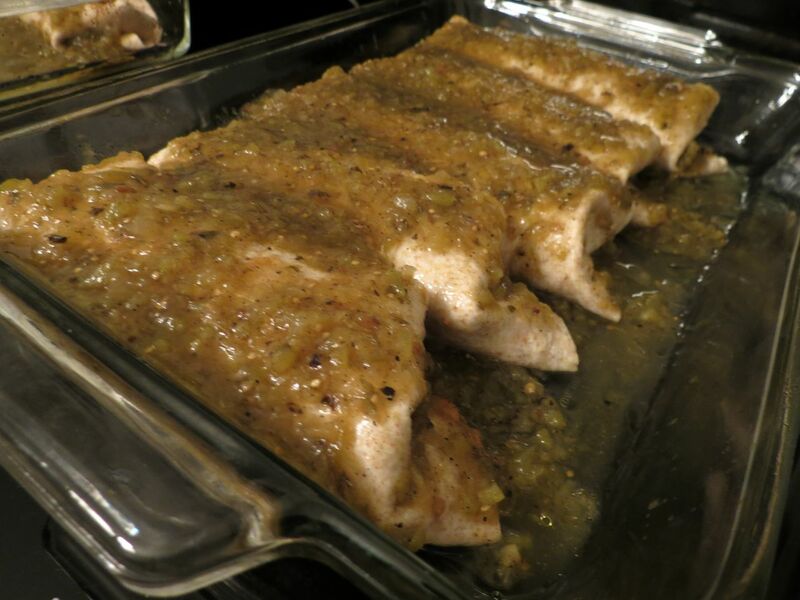 – 2 cans Old El Paso green chiles, with juices *Note: these are not spicy and they really make the flavor of the dish, be sure to include them! – 1/2 cup tomato salsa – this is where you can choose your spicy level; choose wisely because the green salsa added at the end tends to be a medium spice. Preheat oven to 400 degrees. Grease a 9 x 11 baking dish. Heat oil in a saucepan over med-hi heat. 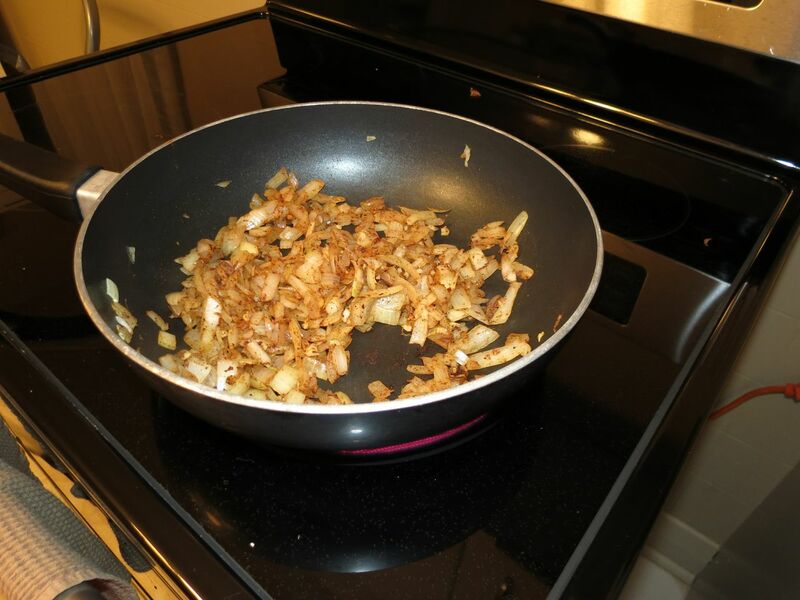 Saute onion and garlic for 5-7 mins, until translucent. Add chili powder, cumin, and cinnamon and mix well. 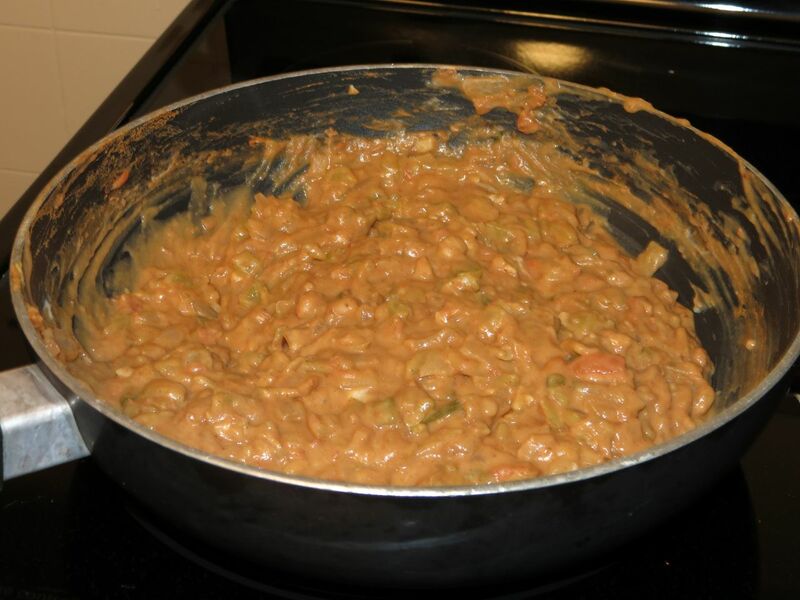 Add chiles, salsa, and beans to the pan and bring to bubbling. Stir in cheese if using, and adjust seasonings to taste. Remove from heat. Place 1/10th of the filling in a tortilla and roll up. Place in prepared baking dish. Repeat with remaining filling and tortillas. Cover everything with green salsa and as much cheese as you want. I went the spicy route and slathered these bad boys up with green salsa! 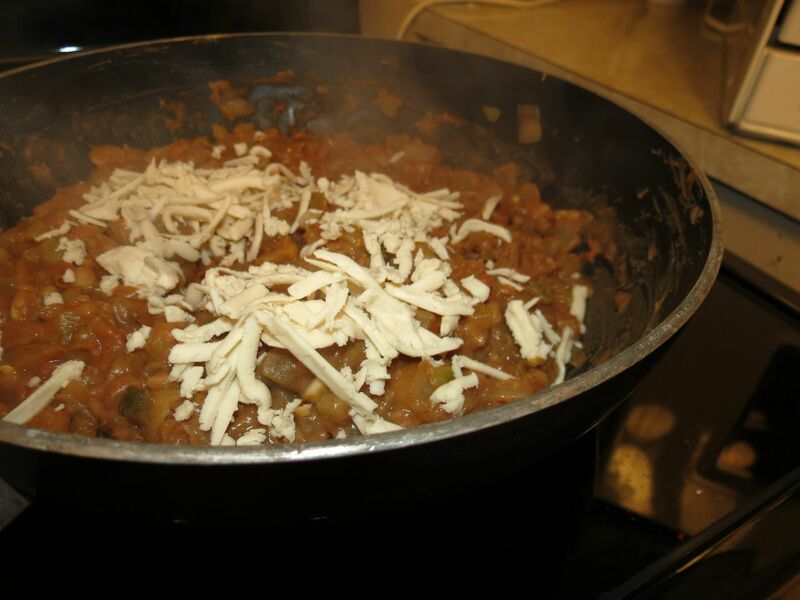 Bake for 20 to 25 mins, or until sauce is bubbling and cheese is melted. Arriba! !